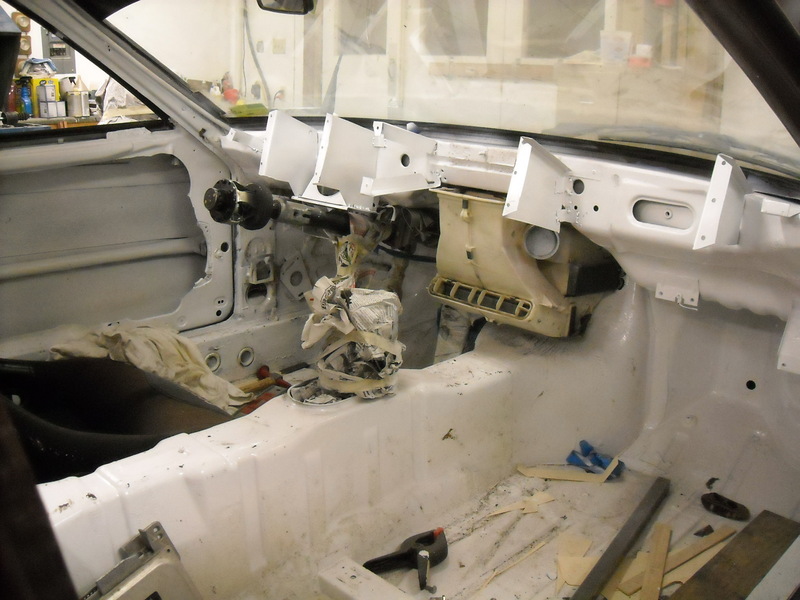 Since the Porsche track car project was lagging into the winter months, what with the engine rebuilding effort, I decided to tidy up the interior of the car and put it on a weight loss program. 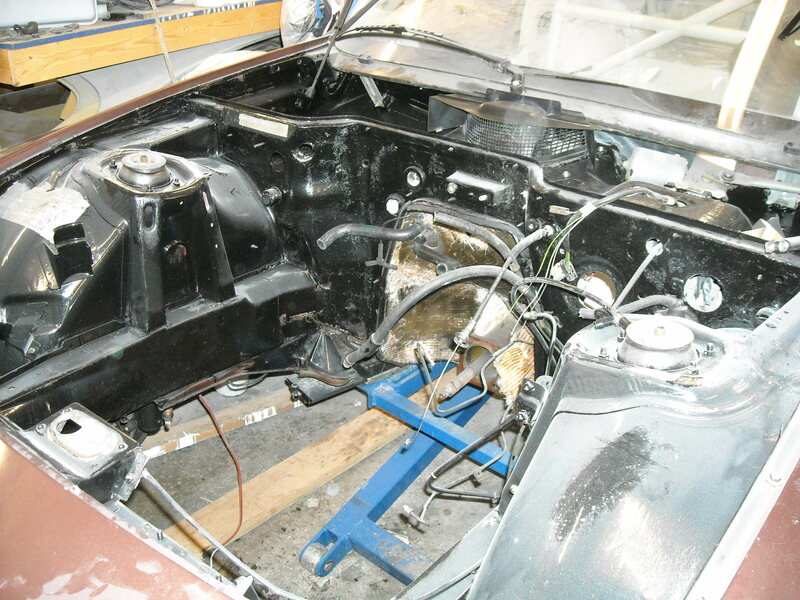 Since the engine was out, an obvious first step was to clean up the engine compartment. I few items I removed were the power steering external parts, the drive motors for the pop up head lights, the windshield washer fluid tank, and the charcoal canister system. 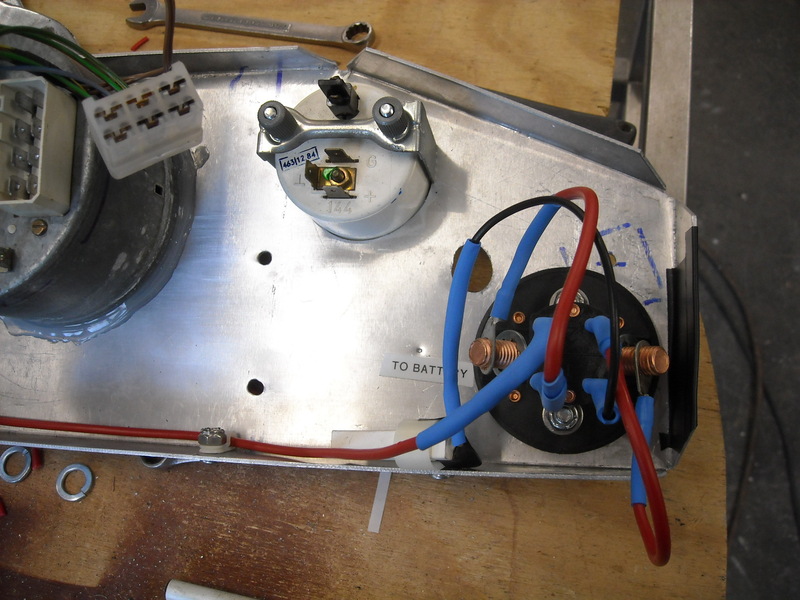 I had already decided to remove the A/C, which obviously meant I did not need to remount the compressor on the engine but also meant I could get rid of the condenser coil in front of the radiator. 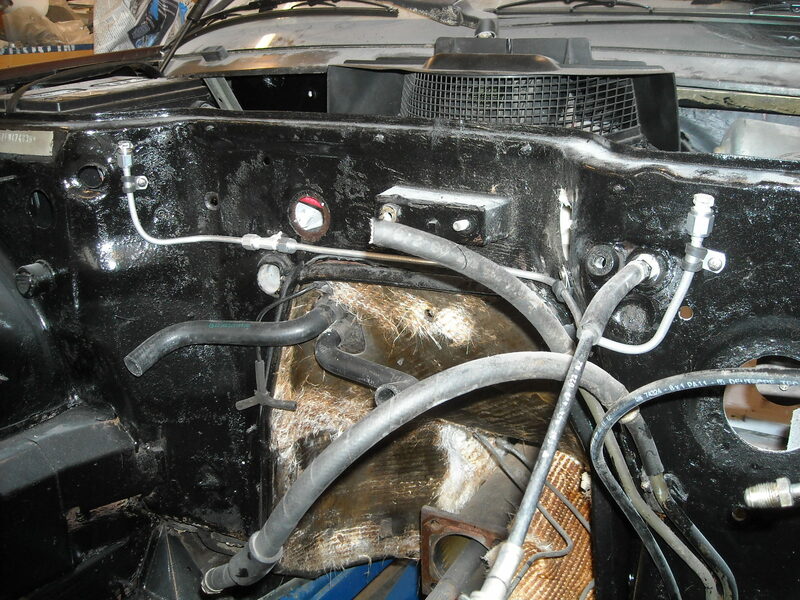 I then washed the engine compartment down with degreaser and applied a brush on coat of Rustoleum black enamel. 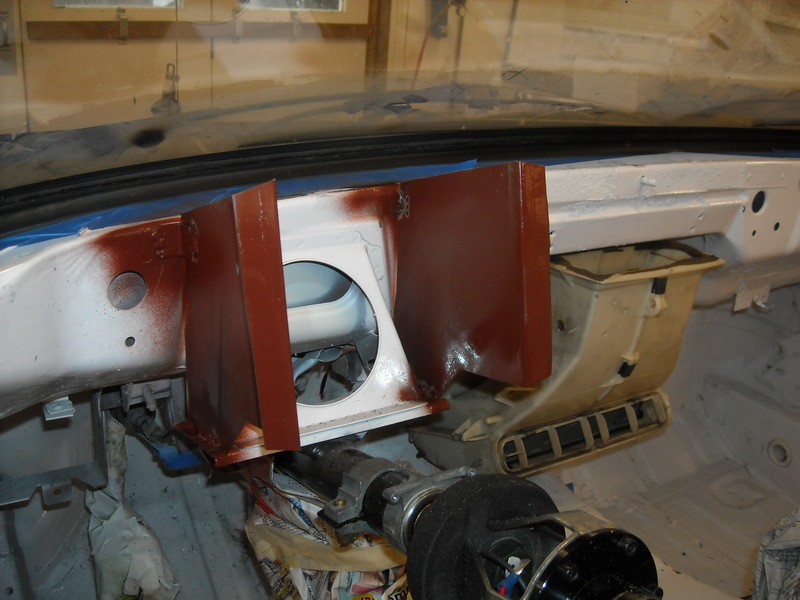 Not shown in this picture but I also repainted the power booster unit for the brakes. This is also a good time to replace the rubber portion of the fuel lines, which are notorious for splitting and causing engine fires. The rest of my weight loss program was aimed at the interior. Here is a list of the items I removed. 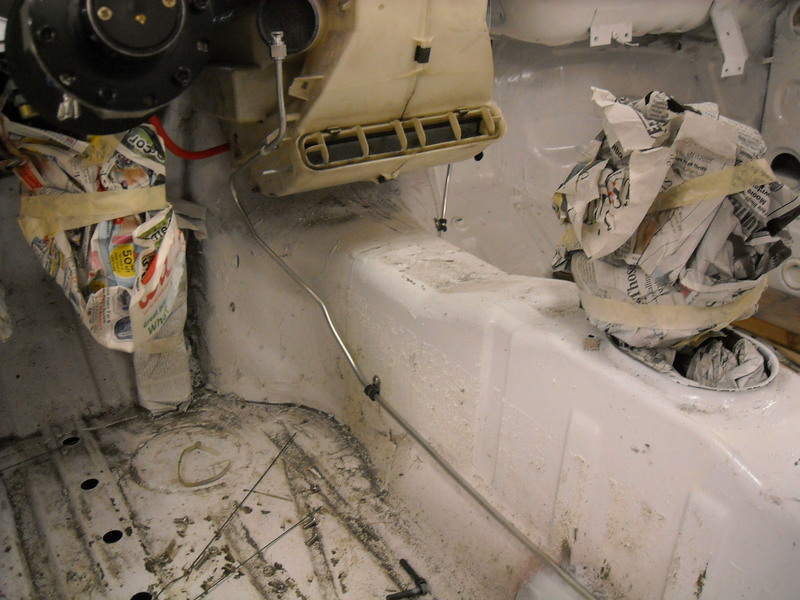 The sound deadening material was removed with a heat gun and putty knife. I retained the heater unit but blocked it off to only blow air on the windshield, for defrost purposes. After I was done, I brushed on a coat of Rustoleum white enamel. 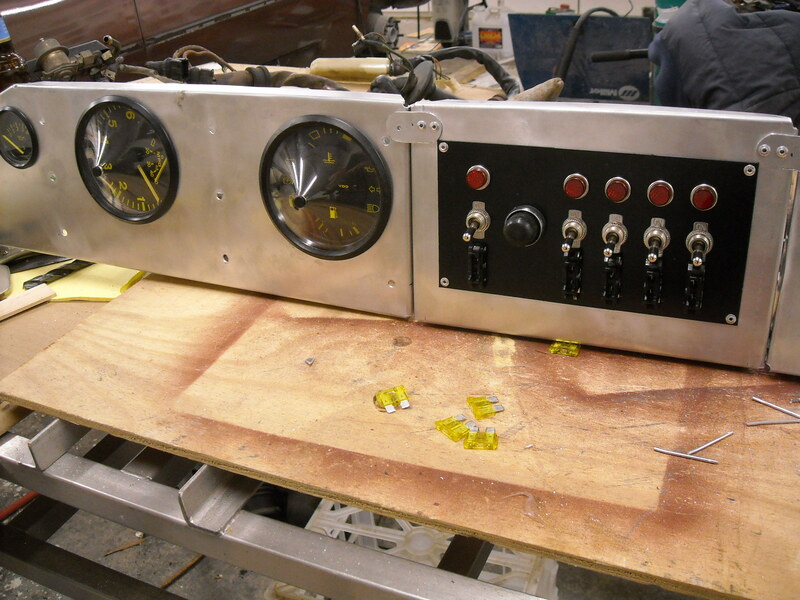 I’m getting ready to talk about the items I added, which were a custom dash, custom wiring, and a fire suppression system. And of course I had yet to install the engine. But after all that, the weight loss would prove to be substantial. Before I started, the car weighed over 2800 pounds. After I was done, it only weighed 2333 pounds dry, with no driver. Pretty good! Also note that the front to rear weight ratio remains almost exactly 50:50! 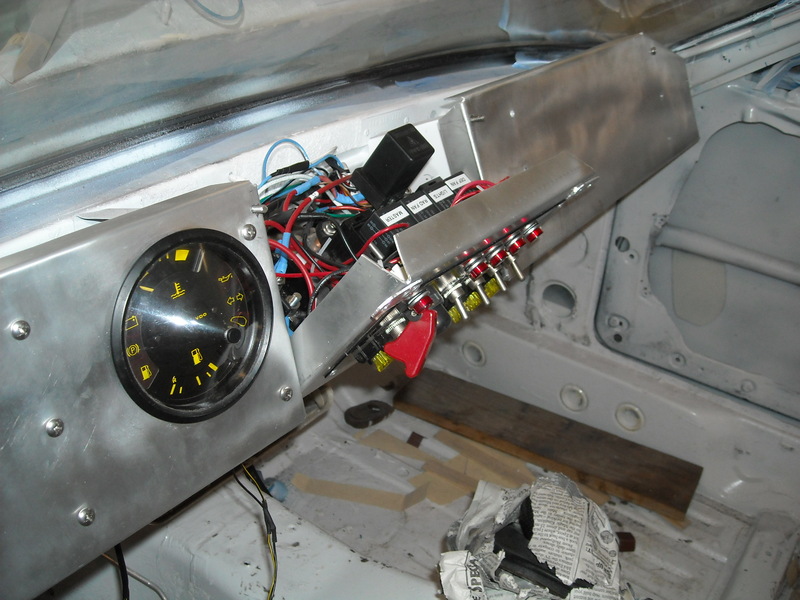 As I said, I decided to build a custom dash out of aluminum. 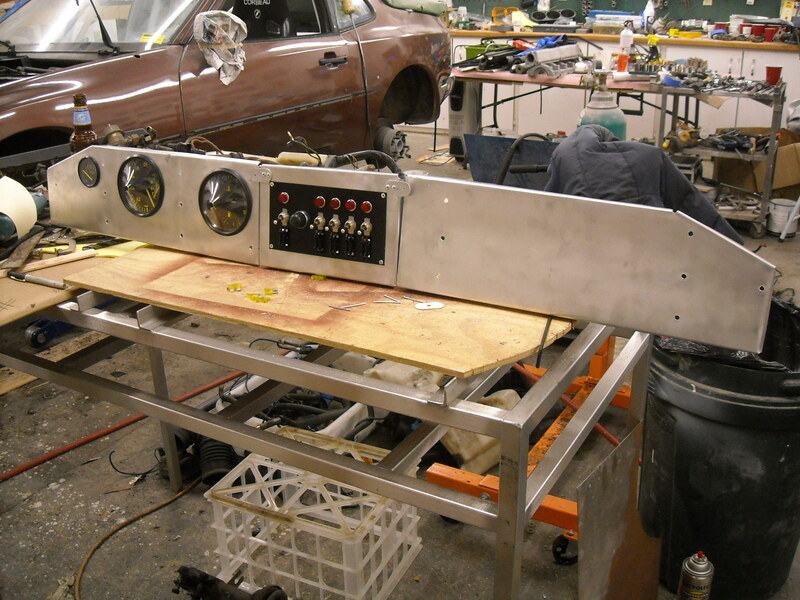 First I had to fabricate some steel brackets to hang the dash from. They are visible in the above picture. 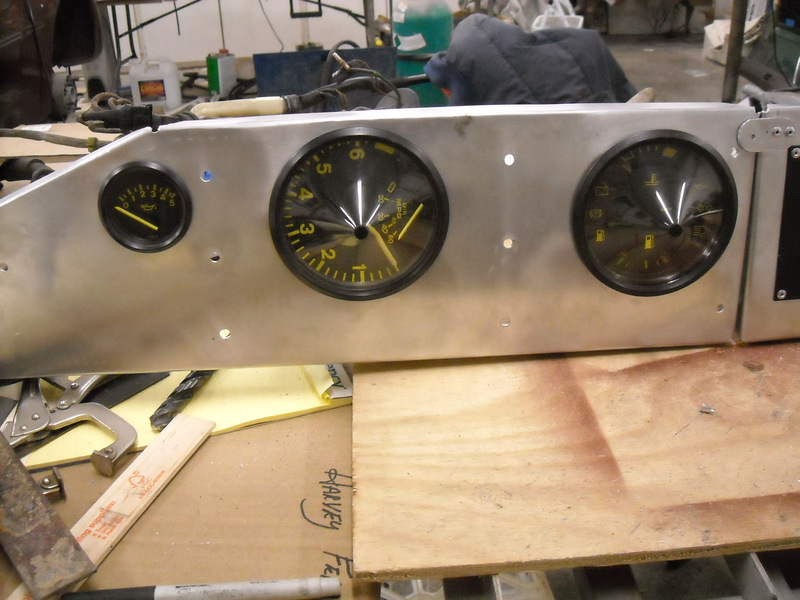 I salvaged all the gauges from the stock dash. In the center of the dash was my control panel. 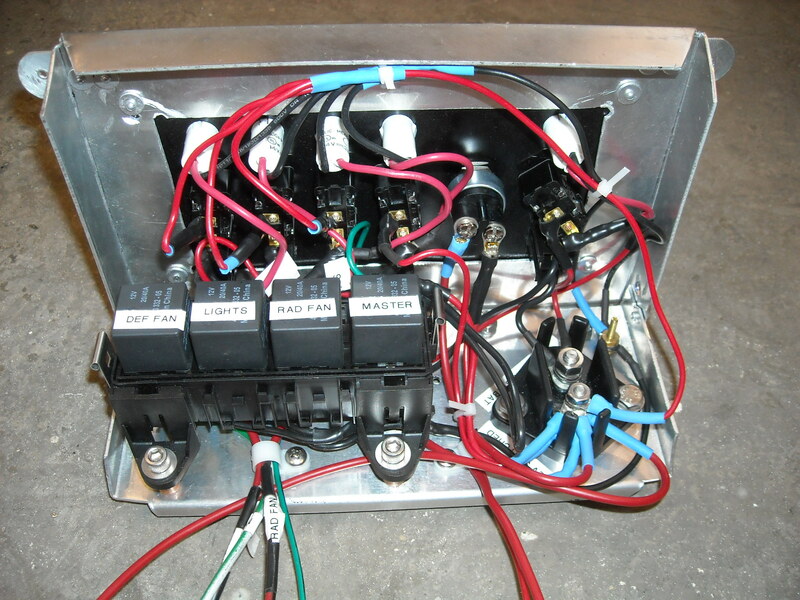 The basic switch/fuse panel was purchased from Summit and was mounted in a center panel that was hinged to rotate down and allow access to wiring and relays on the back side. The right side of the dash is unused for now. 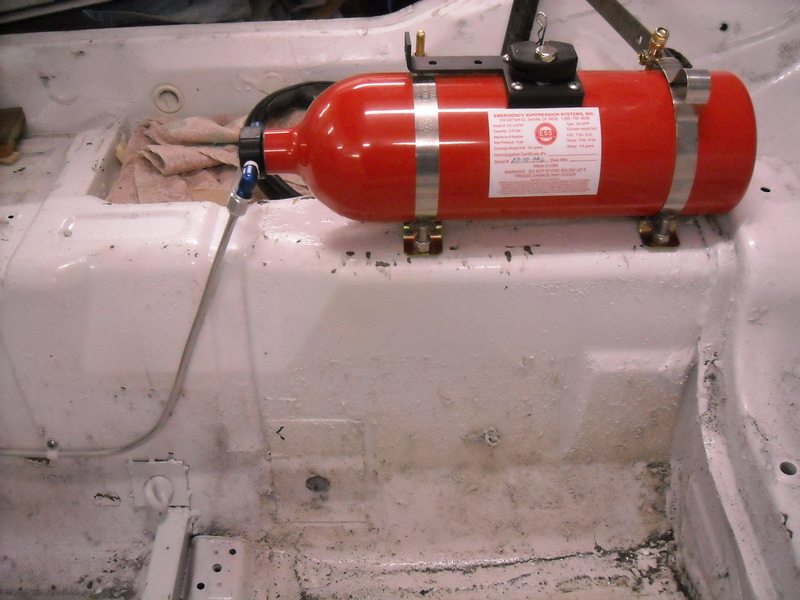 I also installed a fire suppression system. 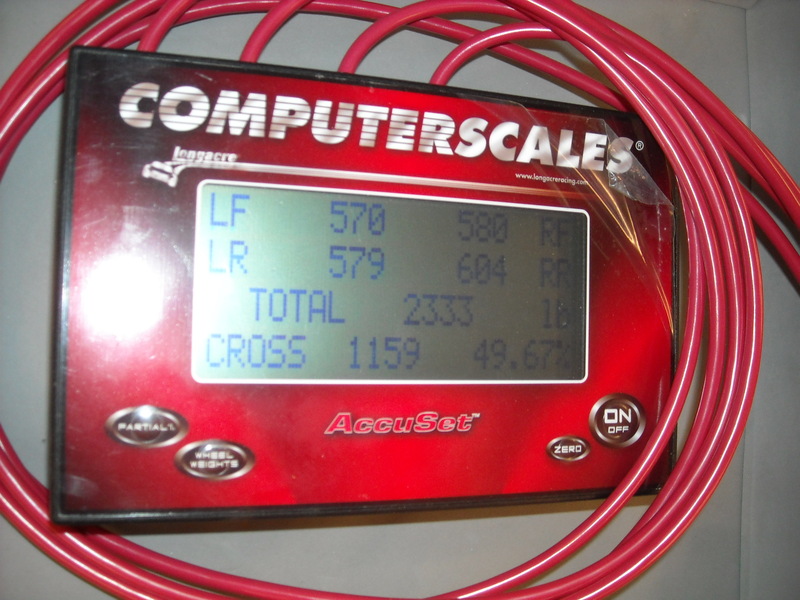 The system is made by ESS and is sold by Apex Performance. It has an advantage that it is based on water with a special retardant added. If you have to discharge it, the cost to refill is about 1/3 of what it costs to refill a Halon system. This picture shows the discharge nozzle that wets the driver. That’s about it for the interior. 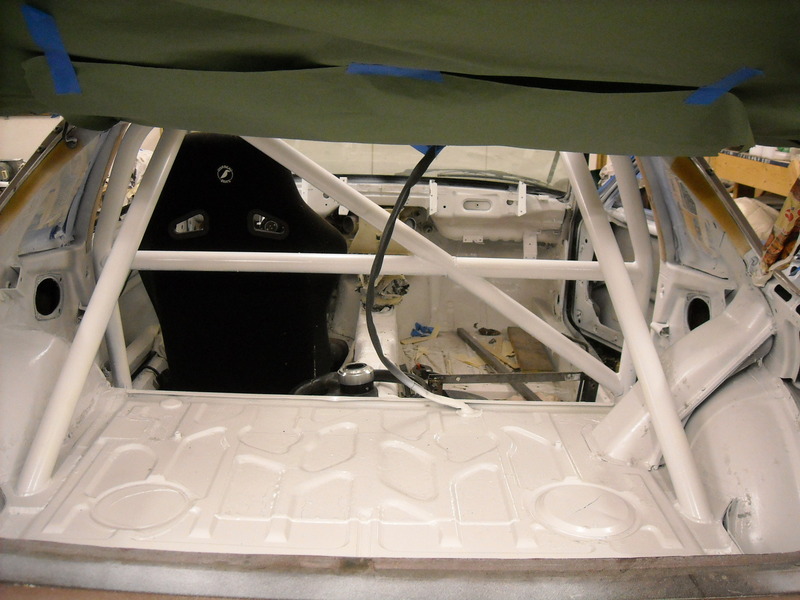 I cut out the interior door panels in preparation for the cage door bars. I installed some RS type door pulls to the door latches. 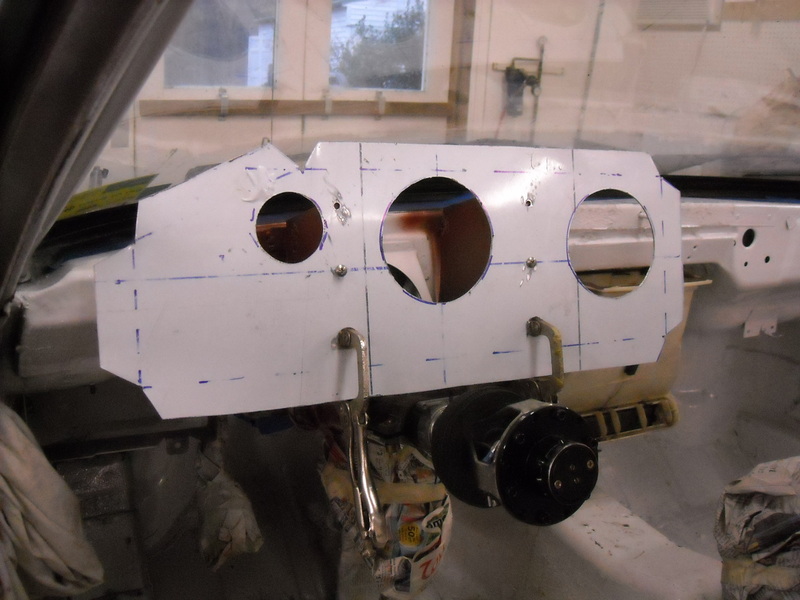 I took the window glass out but have subsequently found it can easily be re-inserted and held up with wood rods to keep the worst of the rain out when towing or sitting outside.